When AMD rolled out the Radeon R9 Fury X and R9 Fury graphics cards in June and July respectively it appeared the company might regain some lost ground and battle Nvidia once again for desktop GPU supremacy. 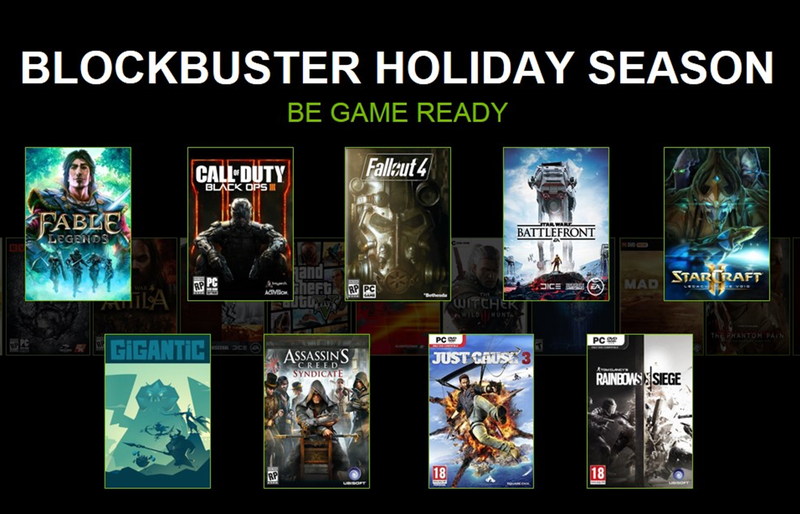 Based on Nvidia’s latest quarterly earnings report, however, it may be a long time before that happens—and Nvidia's moving quickly to roll out new features that encourage GeForce buyers to stay in the GeForce ecosystem for the long haul. In August, Jon Peddie Research estimated that Nvidia owned 81.9 percent of the add-in graphics card market during the second quarter of 2015. After Nvidia’s latest earnings report those market share numbers may very well increase again. Team Green’s GPU business is doing better than ever, increasing by 12 percent compared to the year previous, hitting a new record for the company. But as staggering AMD gears up for what could be a bigger battle in 2016—more on that later—Nvidia's fortifying its position by increasing GeForce's usefulness and making it harder, or at least less appealing, to switch over to Radeon graphics cards. In mid-December, Nvidia will lock all its Game-Ready drivers behind the GeForce Experience (GFE) software. That means gamers looking to optimize their system with the latest drivers tweaked for new top-tier titles will have to be registered users of GFE. That is just the first volley, however. The company wants to transform GFE from a basic desktop utility to a gaming hub where Nvidia has direct contact with its customers—thus the mandatory registration. GFE will soon be a hub for news, hardware giveaways, and early access codes for hot games on top of the place where you turn on ShadowPlay and use Nvidia's GameStream technology. Nvidia's also made a clear effort to entice game developers into embracing its fancy GameWorks middleware effects in 2015, so that titles offer optimized or enhanced graphics effects that (typically) perform better on Nvidia GPUs. These include features like PhysX for game physics, and FaceWorks, HairWorks, and WaveWorks for more realistic in-game graphics. Then there’s GeForce Now, Nvidia’s take on cloud game streaming that allows you to play a graphics intensive games on sub-par hardware, with the heavy computing done by the server. 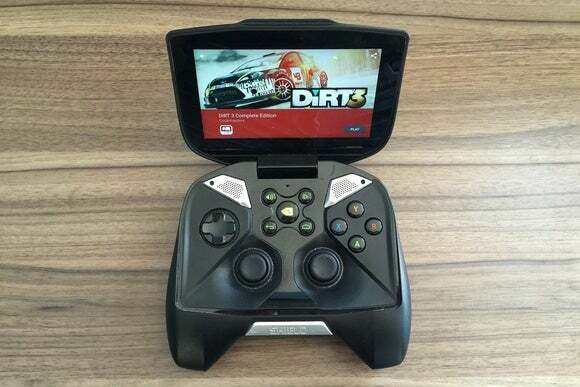 The catch is GeForce Now only works with Nvidia Shield devices such as the Shield Android TV and Shield tablet, thus encouraging more people who want a Netflix-for-games-like streaming experience to try a Shield device. If the program's ever expanded to embrace GeForce-equipped PCs, too, it's easy to see how this could be a hit with gamers on a budget. GeForce Now streams modern games like Witcher 3 at up to 1080p at 60 frames per second, which is far better than entry-level cards like the GTX 950 can muster natively, and you can play all 70-plus supported PC titles as part of your $8 per month subscription. What's more, one of GFE's major tabs is dedicated to streaming games from your PC to your Shield devices. A GeForce Now-streamed game running on Nvidia's Shield handheld. All of this activity adds up to a typical move we’ve seen played out by Apple, Microsoft, and many other technology companies: create products that encourage people to invest in and stay insidde your ecosystem. 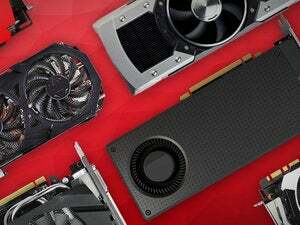 PC gamers are a fickle sort and would readily swap out GeForce graphics cards in droves for AMD R9 GPUs if the gaming world started trending towards Team Red. Nvidia wants to counteract that possibility by making the world of Nvidia far more appealing. You might come to Nvidia for the graphics performance, but you’ll stay for all the extra perks that come with being a GeForce graphics card owner—or at least Nvidia hopes so. That’s not to say AMD is standing still. AMD recently cleaned up its user-facing software by retiring the long-in-the-tooth Catalyst Control Center and rolling out the Radeon Software Crimson control panel, which sports a sleek modern interface and useful tools like individual per-game overclocking profiles. With the Fury X, AMD was the first out of the gate with graphics card designs rocking high bandwidth memory, which offer three times the performance of GDDR5 RAM. Nvidia, meanwhile, isn’t expected to roll out cards packing HBM until the launch of its Pascal-based GPUs in 2016. AMD also recently made some organizational changes by creating the Radeon Technologies Group to separate its CPU and GPU businesses into different units. The change should make AMD better able to compete with the more nimble Nvidia, and PCWorld's massive graphics card roundup shows the new Radeon R300-series and Fury cards going toe-to-toe with GeForce's offerings across the board, and outright beating Nvidia's cards in some cases. It remains to be seen, however, if that's enough to claw back marketshare from Nvidia—especially with GeForce increasingly becoming a thriving, proprietary ecosystem of its own.